Code Rood is a cooperation between people who together battle the fossil fuel industry and its power. This means all forms of oil, gas and coal. The most important thing these people share is that global warming and the damages caused by the fossil fuel industry can not be stopped with just individual actions. We take action against corporations who are responsible for extracting, transporting and burning fossil fuels. We also come into action against governments who let this happen freely. The biggest oil and coal harbors of Europe are Amsterdam and Rotterdam. Europe’s largest gas field is in the earthquake stricken Groningen. This means that the Dutch government has a large responsibility for the problems caused by global warming. Code Rood helps building a resilient movement by organizing annual mass action events. The goal is to disrupt to infrastructure of the fossil fuel industry and (temporarily) shut things down. The final goal is to achieve structural change in how energy is generated. Code Rood takes civil disobedience to the next level by making it visible and palpable. This happens by openly announcing the action day and by mobilizing nationally and internationally. Code Rood helps local communities who experience the direct effects of the extraction of fossil fuels. Code Rood also holds the opinion that the workers in the fossil fuel industry should not suffer from the necessary transition to green forms of energy. This i why, for example, Code Rood voiced support the FNV’s (labor union) for a coal fund for workers in coal harbors and coal energy plants. Code Rood stands in solidarity with other movements against the fossil fuel industry and climate change and other forms of injustice, extortion, repression and discrimination. On the 24th of June 2017 was the first massive action of Code Rood, here around 350 people blocked coal in the harbor of Amsterdam. Since Code Rood is relatively new, there is a lot of work being to in forming an identity and a (long term) strategy. Code Rood is depends 100% on donations, sympathizers, participants and solidarity funds. How is Code Rood organized? Code Rood is organized horizontally in action conferences, working groups and a coordinating platform (CoPla). An action conference is a public meeting in which important decisions are made. Furthermore the action conference is also a place where people who want to join (with the action) and those from working groups come together. Every decision we reach through consensus decision making, a creative way to make decisions with all people of a group. With consensus decision making the groups tries to find solutions that are supported by all members of the group. At minimum everyone in the group is at least okay with the reached solution/decision. This is contrast to simply voting and have the majority decide. Consensus decision making is based on the principles of equality, cooperation and having respect for everyone’s needs. The different working groups are responsible for specific parts of organizing the action and the camp. For example, the mobilisation group is responsible for the national and international mobilisation, the media & communications working group takes care of our own media and the contact with the press. Woking groups work, in principle, independently and only have to forward large consequential decisions to the action conference. In the Coodinating Platform spokes people of the different working groups come together to coordinate ongoing tasks, share questions and make (if required) decisions on dilemmas working groups do not want to answer themselves. The CoPla has meetings through video conference calls and actual physical meetings. You can get involved in this process when you are active within a working group. Code Rood is organized in this manner to allow people from the whole country to unite in the battle against the fossil fuel industry and climate change. The organizational structure is set up this way so no voice can go unheard and that no centralized power can emerge. Similar to the other processes, this organization structure is often evaluated and adjusted as required. 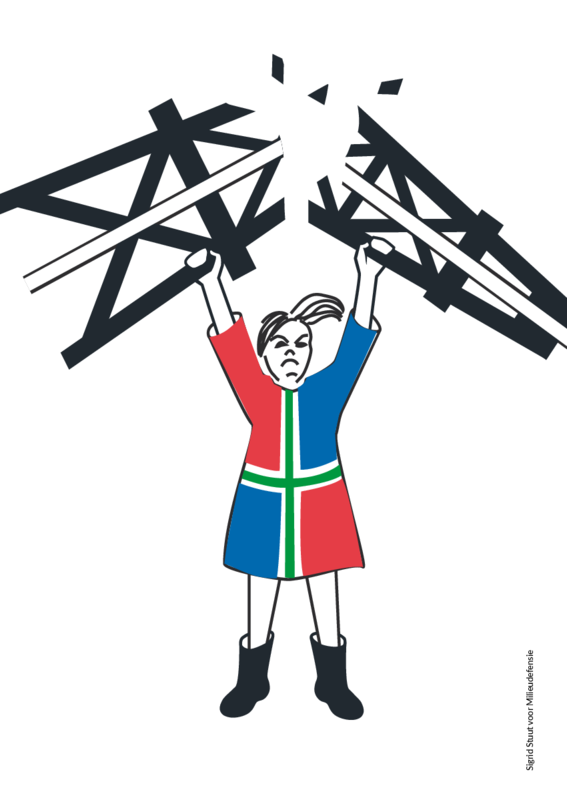 Code Rood is aware of the battle that is being fought by local groups and wants to support and reinforce by organizing a blockade of as many people as possible. At this time Code Rood is organizing an action camp in the earth quake epicenter. This camp will take place in 2018 from the 24th of August to the 31st of August. The most important action day will be during Gronings Ontzet on the 28th of Agust. This decision has been reached through multiple action conferences where multiple action goals were considered and debated. And finally, it was decided in a large meeting with 50 people on December the 12th. How can participate in Code Rood? By visiting an action conference you are already participating in Code Rood! This is where the most important decisions are made. You can also join a working group, visit the camp and join the action. You can also help Code Rood by donating, lending stuff for the camp, join the first aid team (on the camp or during the action), help with tasks such as finding a location for an action conference or simply drive and help transport stuff.